Haverford Crew has been competing for over 75 years. There is a long tradition of success in rowing at The Haverford School. 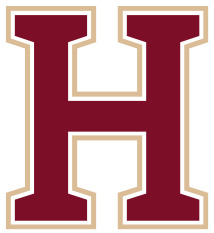 Winning over 100 Scholastic Championships, over 75 Stotesbury Championships, and over 300 Philadelphia city and local championships, the Haverford School Crew is one of the most successful programs in the United States. During the 1980's and 1990's Haverford Crew won the Boys Varsity Quad 18 straight years. The Haverford School moved into its brand new, state-of-the-art rowing facilty in October 2014. The new facility is called the Conshohocken Rowing Center and is a 6-bay building that houses The Haverford School, Malvern Preparatory School, and the Borough of Conshohocken. The Haverford School section is named The James J Barker Sculling Center of The Haverford School. The operation of the building is a Public/Private relationship that will encourage local and youth rowing. The Haverford School rowed out of Undine Barge Club on Boat House Row in Philadelphia for the past 75 years. The Haverford School thanks Undine Barge Club for the support and tradition it has added to Haverford School Crew. The Haverford School is part of the PSRA, Philadelphia Scholastic Rowing Association. They compete in the Philadelphia Flicks Series that consists of over 30 permanent members and close to 80 associate members, resulting as one of the most competitive leagues in the country. The League concludes its season with the Philadelphia City Championships. Haverford Crew are also perennial competitors at the Stotesbury Cup Regatta and Scholastic Nationals. The boys of Haverford Crew are a dedicated team that hope to continue its team's tradition both on and off the water.